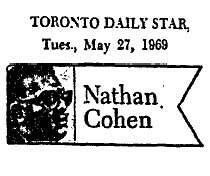 A brief but interesting mention of Strange Paradise from Nathan Cohen's column in the Toronto Star features in this week's archive. 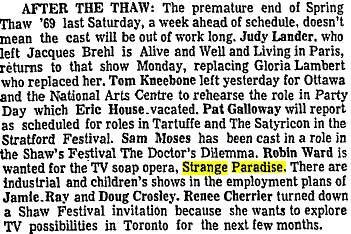 The column notes that actor Robin Ward, later known for his role in the Canadian Sci-Fi show "The Starlost", was wanted for Strange Paradise. 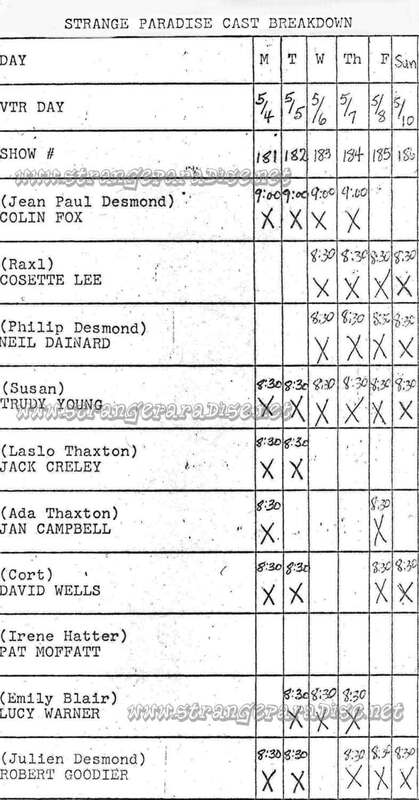 Although Mr. Ward never appeared on the show, he did audition for it, and according to some was on set occasionally during the time he was involved with Sylvia Fiegel. AIn some markets, Strange Paradise was given a strong push in the weeks following its premiere. 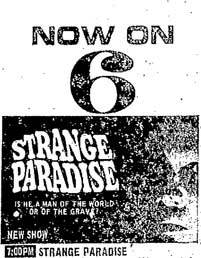 The local paper in Newport, Rhode Island ran weekly ads for various programs including Strange Paradise. 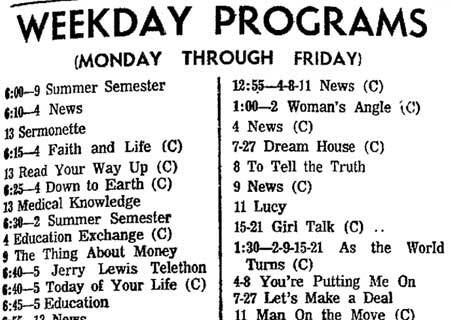 This week's archive features one such ad for the show, indicating its prime 7pm timeslot. 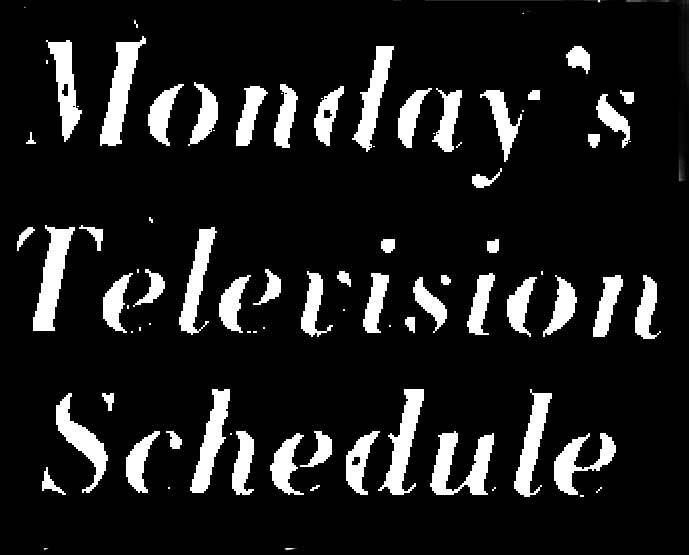 This week's archive comes from Gettysburg, Pennsylvania in the form of weekly TV listings. 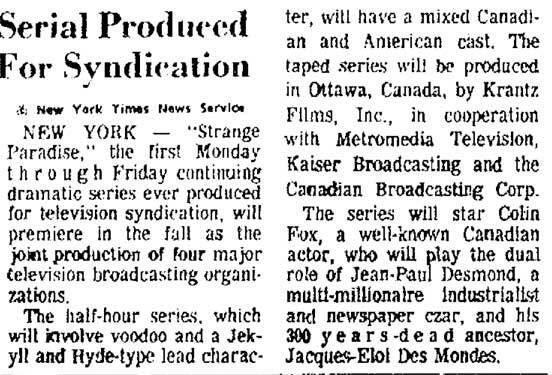 As with a number of cities in the US, Strange Paradise premiered in Cettysburg well ahead of its debut on Canadian television, arriving on September 13th, almost five weeks before it's Canadian premie on October 20th. 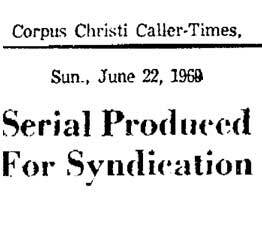 The local paper in Corpus Christi, Texas ran a small article about Strange Paradise in June of 1969, touting it at the first ever daytime serial produced for daytime television. 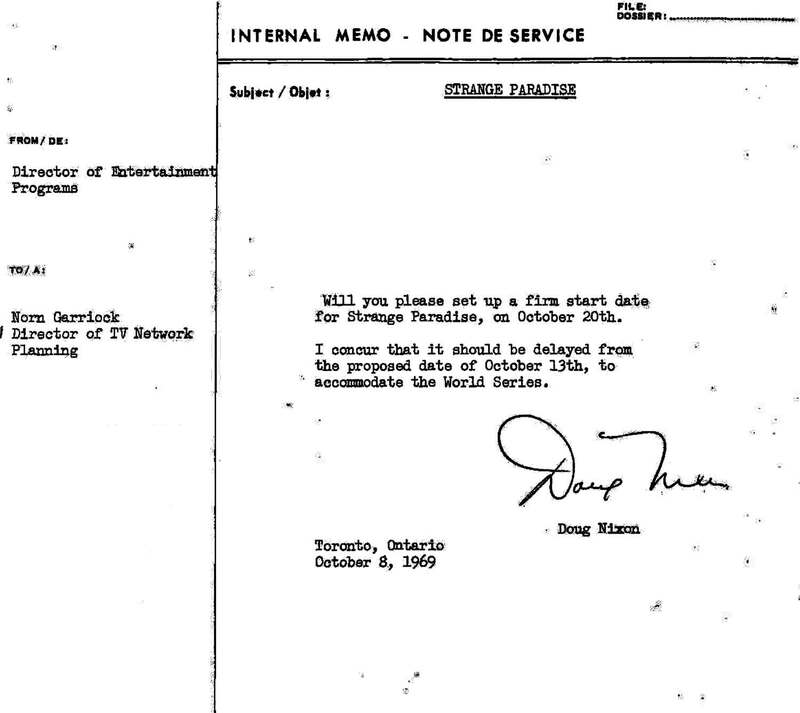 The article goes on to mention that the show was to be a co-production of four entities - the CBC, Kaiser Broadcasting, Metromedia and Krantz Films.. 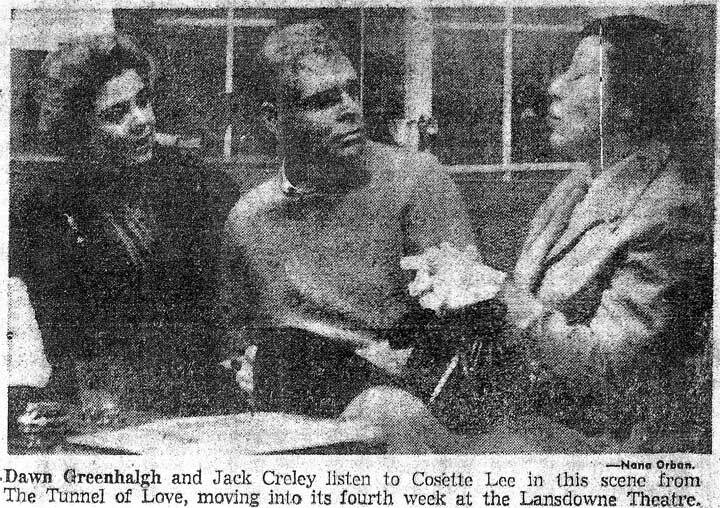 The Courier Times of Bucks County, Pennsylvania listed the premiere of Strange Paradise on September, 1969. 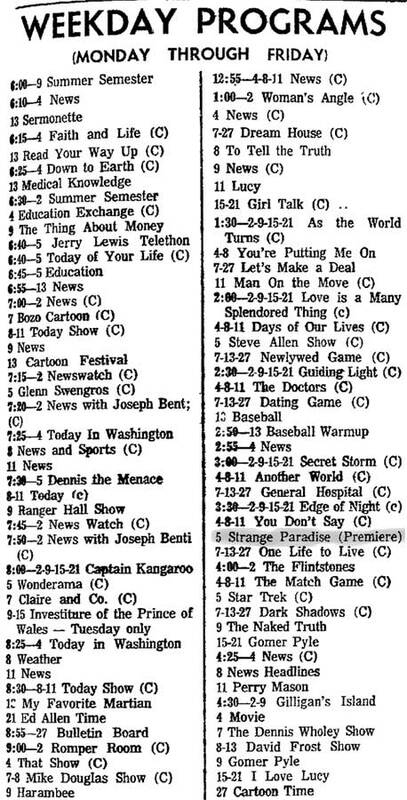 Some stations in the united States chose to air Strange Paradise in a prime time slot as oppoed to an afternoon slot. In Bucks County, Strange Paradise aired on Channel 5 at 6:30pm, as well as on Channel 48 at 7pm. 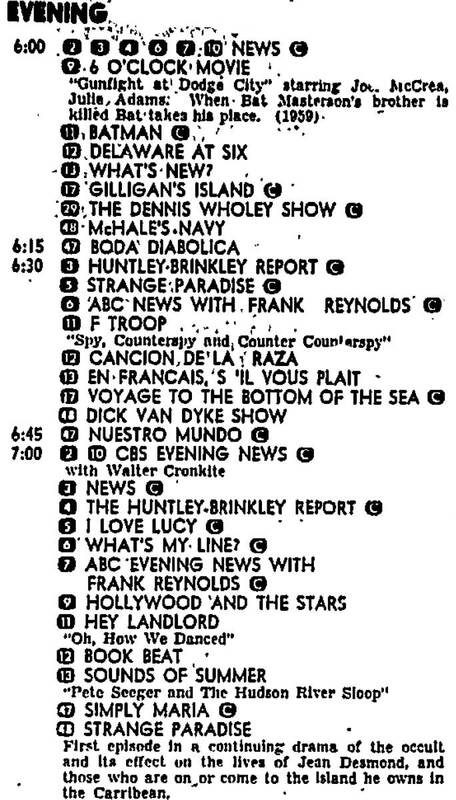 When Strange Paradise didn't pull in the ratings the affiliates expected, it was quickly shifted in the schedules or dropped altogether.